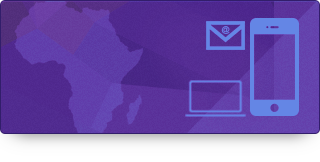 Merck Foundation (Merck-Foundation.com), the philanthropic arm of Merck Germany conducted the 5th Edition of “Merck Africa Asia Luminary” presided over by The President of The Republic of Senegal, H.E. MACKY SALL and in partnership with the Ministry of Health of Senegal in Dakar. 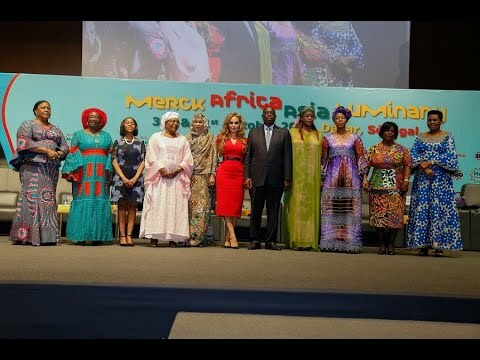 African First Ladies pledge to support Merck Foundation to empower infertile women as Ambassadors The First Ladies became the Ambassadors of Merck More Than A Mother campaign to eliminate stigma around infertility in their countries DAKAR, Senegal, December 18, 2018/APO Group/ -- Merck Foundation (Merck-Foundation.com), the philanthropic arm of Merck Germany conducted the 5th Edition of “Merck Africa Asia Luminary” presided over by The President of The Republic of Senegal, H.E. MACKY SALL and in partnership with the Ministry of Health of Senegal in Dakar. During the Luminary, Dr. Rasha Kelej , CEO of Merck Foundation emphasized, “I am very proud that many First Ladies have partnered with Merck Foundation and accepted to be the Ambassadors of our unique and historic campaign “Merck more than a Mother” to empower infertile women and eliminate the stigma around infertility in their countries”. The First Ladies took the pledge during the opening ceremony of the Merck Africa Asia Luminary 2018. The pledge was taken by: H.E. MARIEME FAYE SALL, The First Lady of Senegal along with H.E. NEO JANE MASISI, The First Lady of Botswana; H.E. DENISE NKURUNZIZA, The First Lady of the Republic of Burundi; H.E. BRIGITTE TOUADERA, The First Lady of Central Africa Republic; H.E. HINDA DEBY ITNO, The First Lady of Chad; H.E. REBECCA NAA OKAIKOR AKUFO-ADDO, The First Lady of Ghana; H.E. AISSATA ISSOUFOU MAHAMADOU, The First Lady of Niger; H.E. FATIMA MAADA BIO, The First Lady of Sierra Leone and H.E. ESTHER LUNGU, The First Lady of Zambia The First Ladies also discussed the strategy to build healthcare capacity in the fields of cancer, infertility, diabetes and hypertension in their respective countries in partnership with Merck Foundation. The First Lady of Botswana, H.E. NEO JANE MASISI, emphasized, “This campaign is very critical for my country and for Africa at large. I am fully supporting this initiative as the First Lady of Botswana. I firmly believe in the importance to empower infertile women, who are mistreated and discriminated against in many cultures for not being able to have children and start a family”. Link to her full speech: https://www.youtube.com/watch?v=1T3u_unKGQM&t=392s (https://bit.ly/2CilDG0) The First Lady of the Republic of Burundi, H.E. DENISE NKURUNZIZA emphasized, “Thanks to Merck Foundation for this unique campaign. It is the first time we have an initiative that empowers infertile women and takes care of them”. Link to her full speech: https://www.youtube.com/watch?v=F0Wy4mXd5Ak (https://bit.ly/2GknyhG) H.E. BRIGITTE TOUADERA, The First Lady of Central Africa Republic said, “I happily accepted to be the ambassador of Merck More than a Mother in 2016. This is a historic campaign that I launched with them in my country”. Link to her full speech: https://www.youtube.com/watch?v=MYrUq09CifU&t=396s (https://bit.ly/2rP8sXr) The First Lady of Chad, H.E. HINDA DEBY ITNO said, “Through this platform, together with all other ambassadors we can create a culture shift across Africa to empower childless women by creating awareness and a cultural shift”. Link to her speech: https://www.youtube.com/watch?v=OoHnGN3_ca8&t=179s (https://bit.ly/2PGnsA9) The First Lady of Ghana, H.E.REBECCA NAA OKAIKOR AKUFO-ADDO said, “I along with Rebecca Foundation will work closely with Merck Foundation to empower women and adolescents; we will tell women to value themselves, as they are more than just mothers, they are productive members of the society.” Link to her speech: https://www.youtube.com/watch?v=AJGWlcJiAPk&t=199s (https://bit.ly/2S0A4UU) The First Lady of Niger, H.E. AISSATA ISSOUFOU MAHAMADOU emphasized, “I have also accepted to be “Merck more than a mother” ambassador in Niger to help raising awareness about infertility prevention, management, male infertility and to break the stigma around infertile women to empower them, as they are not just child bearers.” Link to her speech: https://www.youtube.com/watch?v=01kuMu8dGAk&t=318s (https://bit.ly/2rE3uwp) The First Lady of Sierra Leone, H.E. FATIMA MAADA BIO said, “I have heard and witness the stories of infertile women in my country, the attitude of the people towards these women is not progressive or informed. I am honored to be the Ambassador of Merck More than a Mother, through this campaign I intend to help the women of my country”. Link to her speech: https://www.youtube.com/watch?v=0VYBY62qt1Q (https://bit.ly/2S44Ls5) The First Lady of Zambia, H.E. ESTHER LUNGU said, “Zambia will launch Merck More than a Mother campaign in the country and I am happy to be their Ambassador. There is a serious need for a cultural shift about infertility and its prevention, we will make this happen” Link to her speech: https://www.youtube.com/watch? (https://bit.ly/2LoqcBy) Distributed by APO Group on behalf of Merck Foundation. Rendered in 2.3062 sec. using 5.97MB.